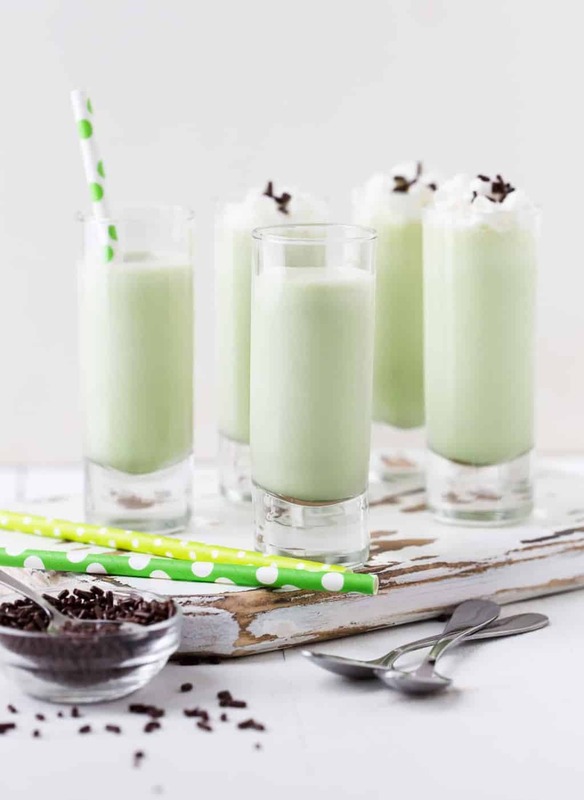 End your St. Patrick’s Day celebration on a sweet note with a round of these Mini Irish Cream Shakes! These 3-ingredient Mini Irish Cream Shakes couldn’t be easier to pull together and are just the right amount of sweet to end a meal even if you’re not a big dessert person. Plus it’s a fun, novel way to serve dessert to a group of guests. 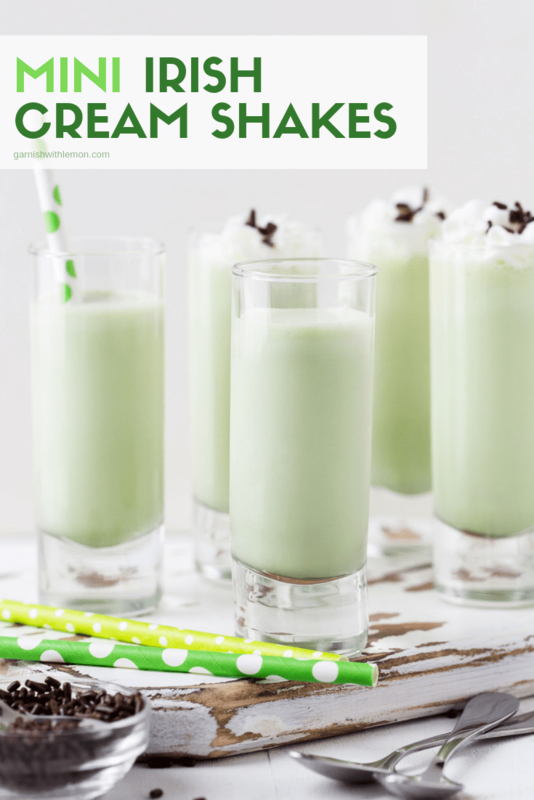 If your only experience with shamrock shakes is with the “other” seasonal option (ahem, I’m looking at you, Mickey D’s), you’re in for a real treat with these Mini Irish Cream Shakes. Rich vanilla ice cream, refreshing creme de menthe and creamy Kerrygold Irish Cream Liqueur blend beautifully together to give you just the right amount of decadence to toast any celebration. 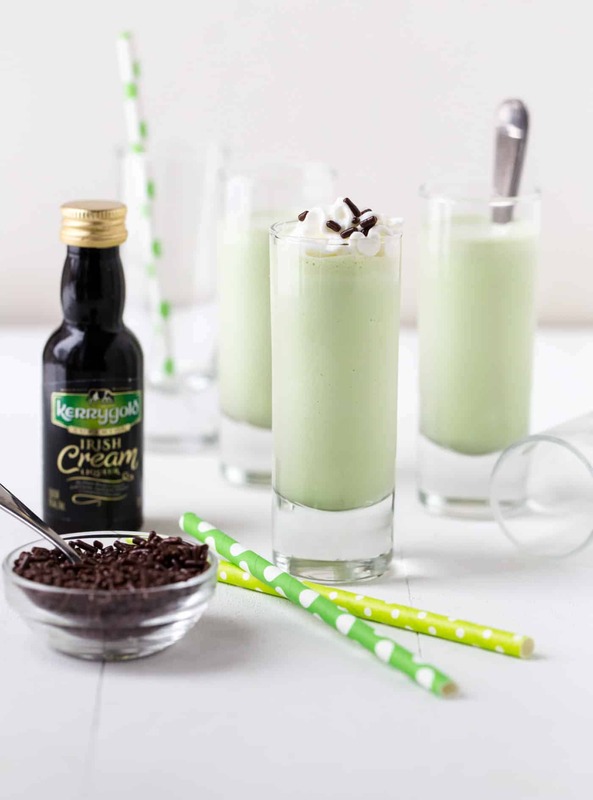 Serve these Mini Irish Cream Shakes with a garnish of whipped cream and chocolate sprinkles for an extra festive touch. They are perfect for St. Patrick’s Day or any occasion deserving of celebration. Tip: Feeling indulgent? Halve this recipe, pour yourself a big glass and curl up on the couch with your Netflix queue. Place ice cream, Irish Cream Liqueur and creme de menthe in a blender. Process until smooth. Pour into shot glasses and garnish with whipped cream and chocolate sprinkles, if desired.